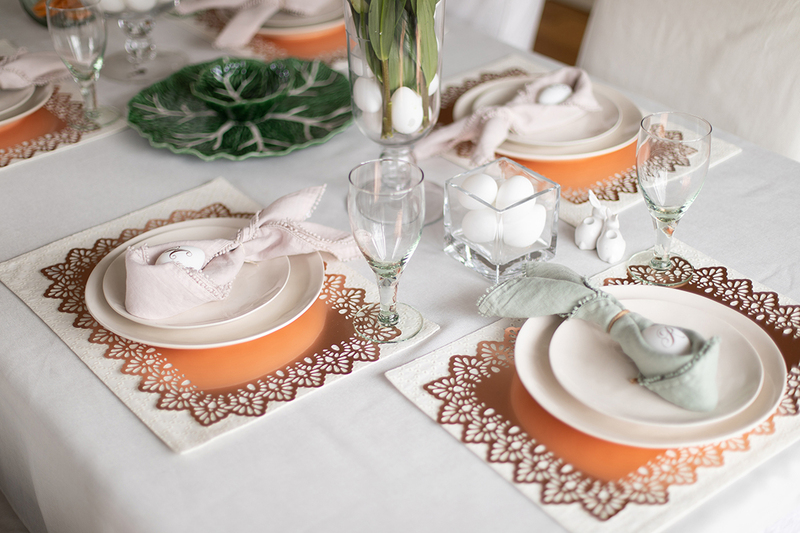 Are you having friends or family over this Easter? 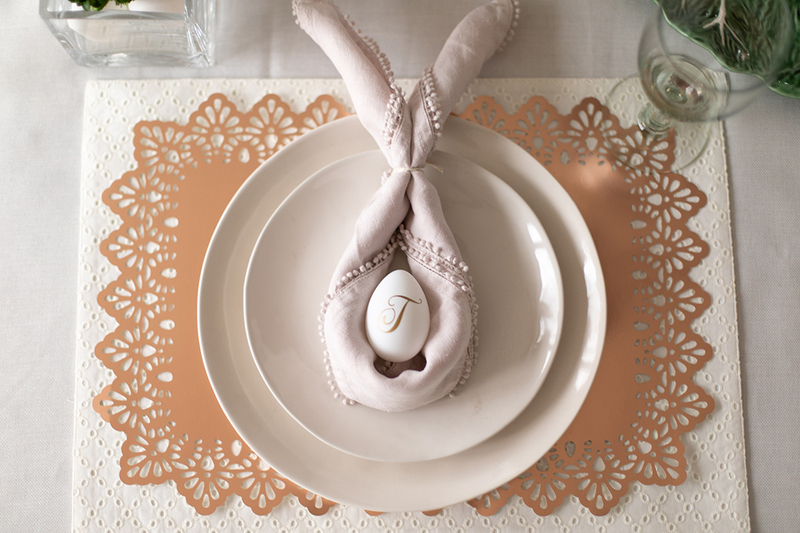 Are you looking for a way to dress up your table to make it look a little more special? Well today we have just the thing for you. We are going to make place mats and egg name cards. 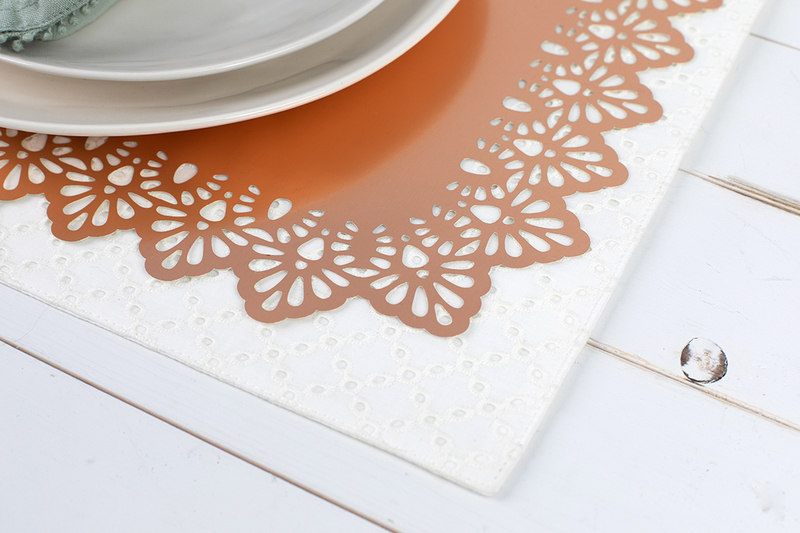 Make your tablescape uniquely your own, and your guests will feel extra special. 1. 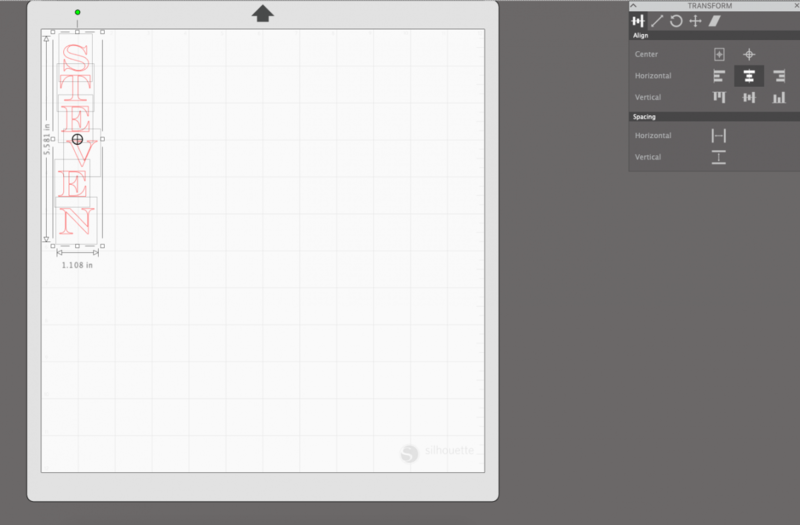 Open Silhouette Studio® and open the Page Setup panel (the icon is located on the right-hand side toolbar). 2. Select Custom under the size tab. And then adjust the height to 24 inches. Now your page size will be 12 inches by 24 inches. 3. 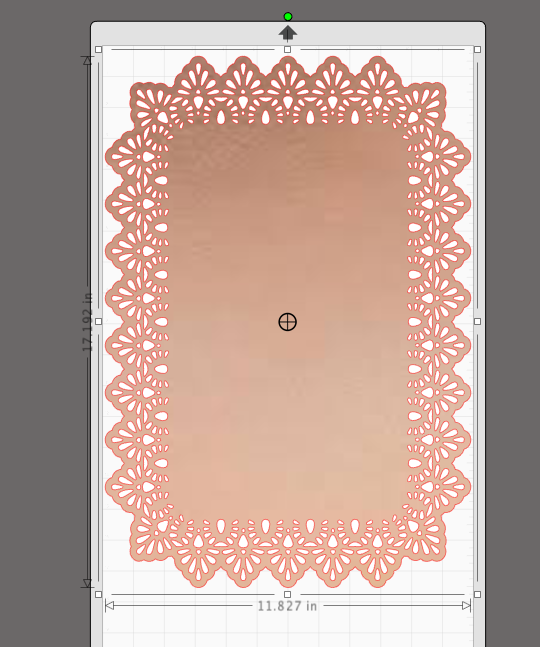 Change the cutting mat to the CAMEO 12×24 mat. 4. Open the lace edge design (design ID #45854). 5. 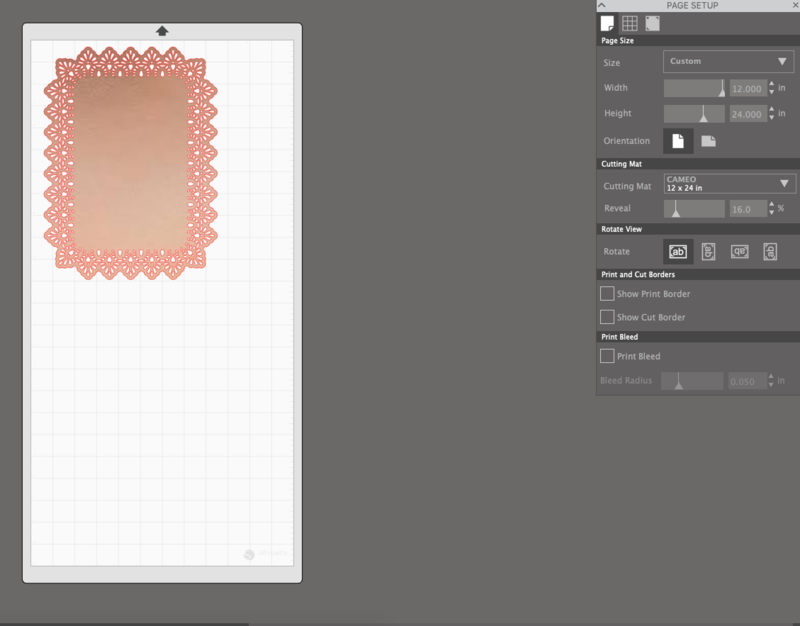 Select the image and use the corner scale handles to adjust the size of your image. 6. Then use the bottom middle handle to stretch the shape to approximately 17 inches long. 7. 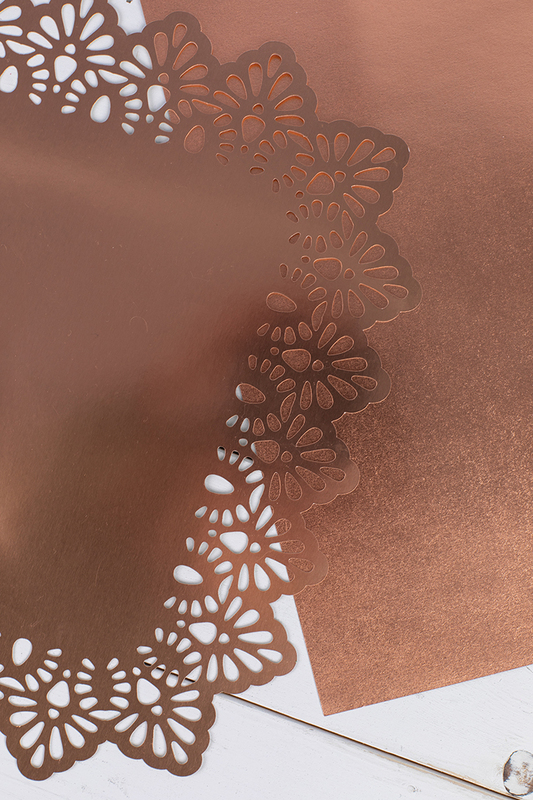 Load your rose gold paper onto your cutting mat and send the design to machine. 1. 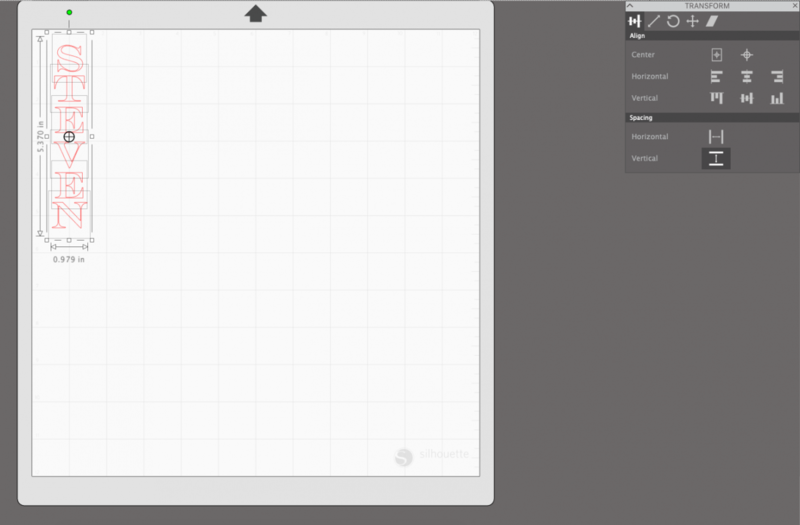 Select the font tool from the left-hand toolbar and open the Font Style panel from the right-hand toolbar. 2. 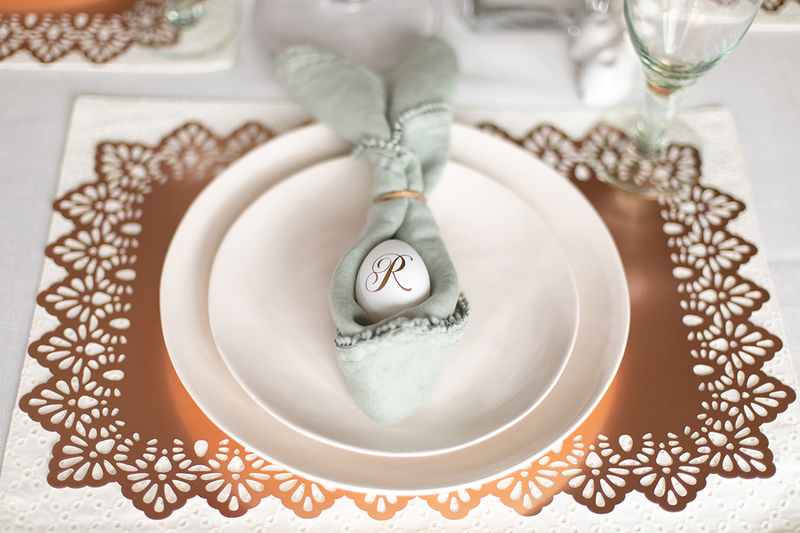 Select the font (Design ID #269792) from the menu and type out the initials for your place settings. 3. Then scale to size as we did with the place mats above. 4. 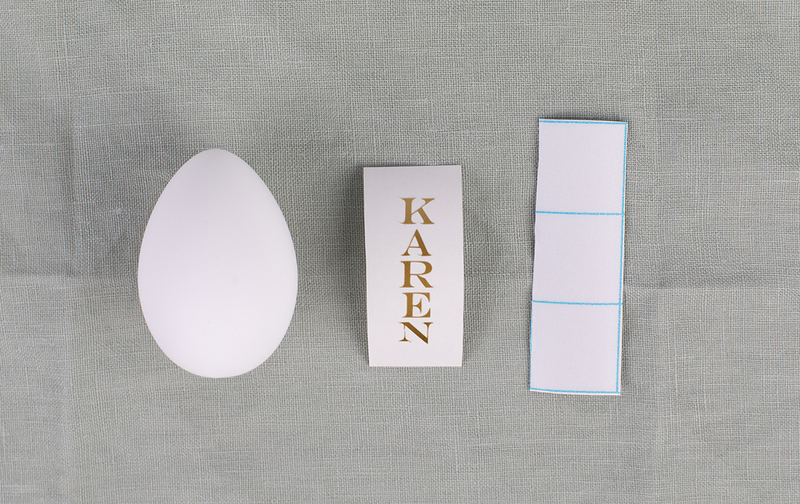 For the names we want them to read top to bottom on the egg. We will type out each letter individually and then align them using the Transform page from the right-hand side. 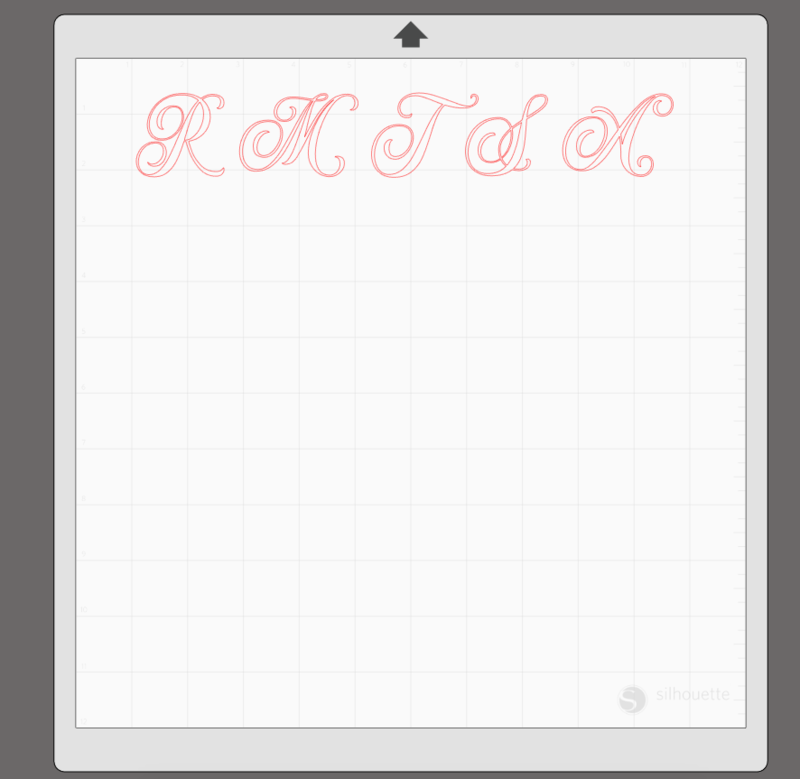 We used the font Engravers MT that comes preinstalled on your computer, so you should be able to access it in Silhouette Studio®. 4. When you have all the letters typed select all and choose the Horizontal – Align Center option from the Transform panel. 5. 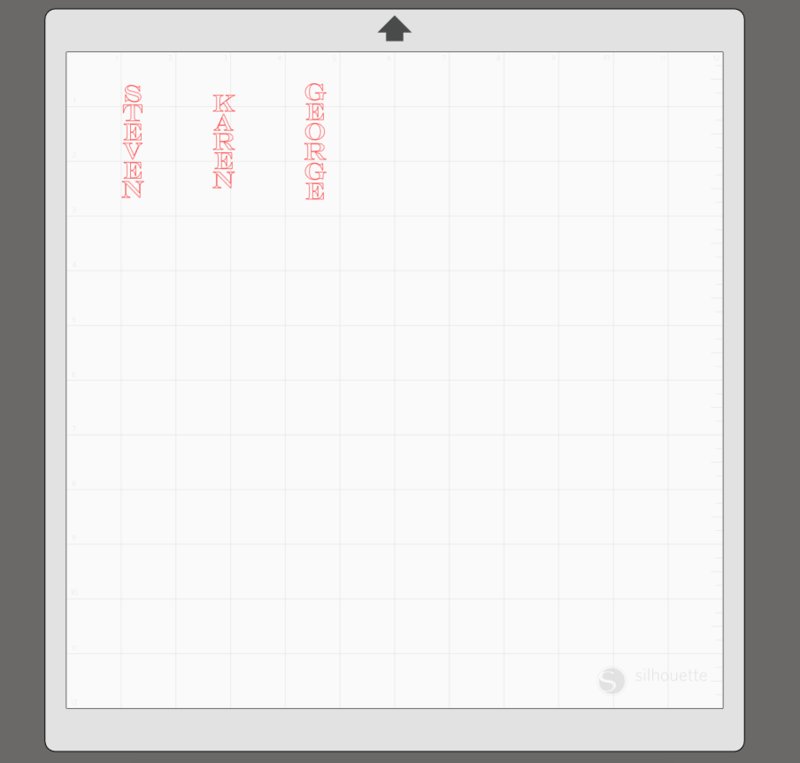 Then under align vertical under the spacing option. 6. Then group the name by right-clicking and choosing Group from the drop-down menu. 7. 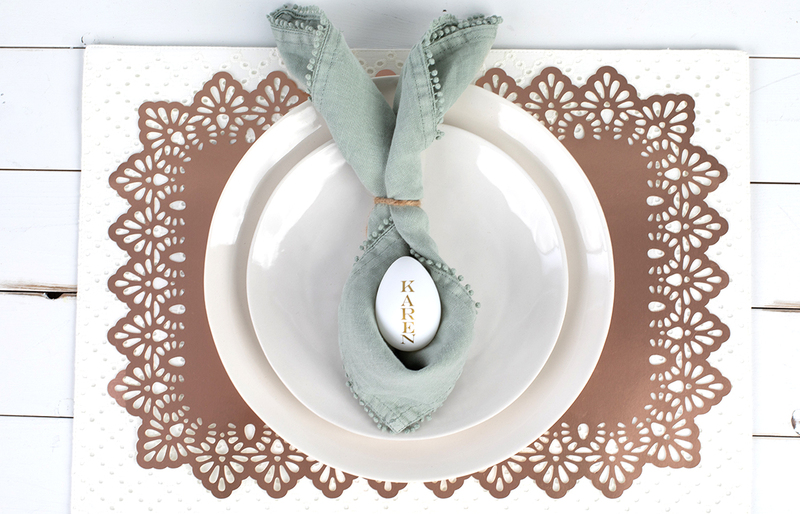 Repeat the steps with all your place settings. 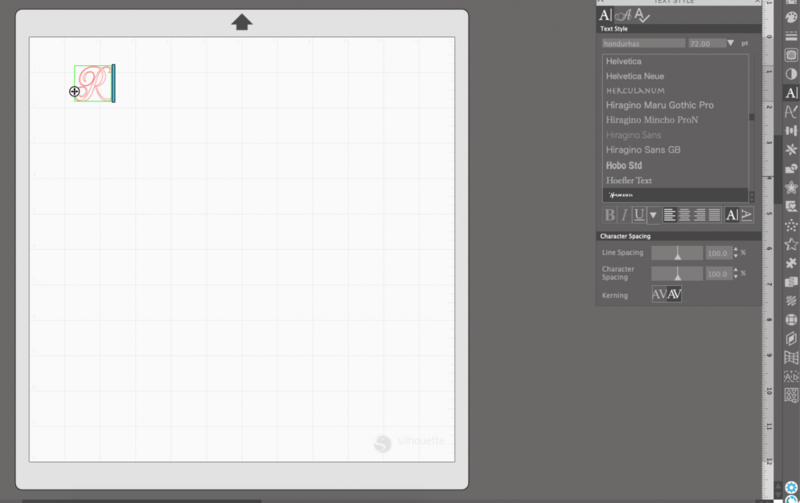 Then select all the names and scale to size. 8. 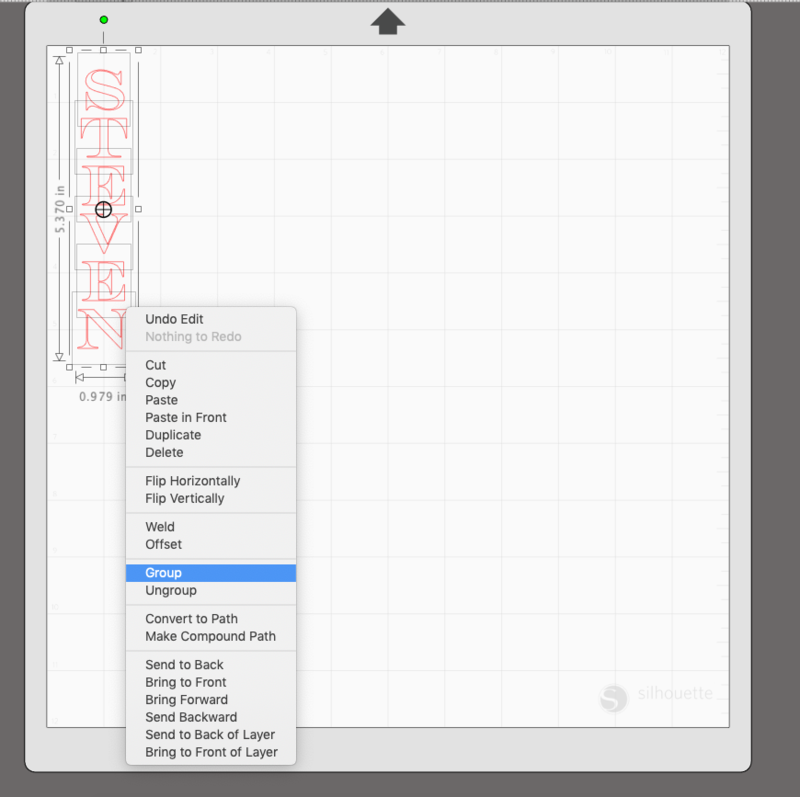 Load vinyl onto your cutting mat and send the design to your machine. 1. When the machine is finished cutting, weed away the excess vinyl. 2. 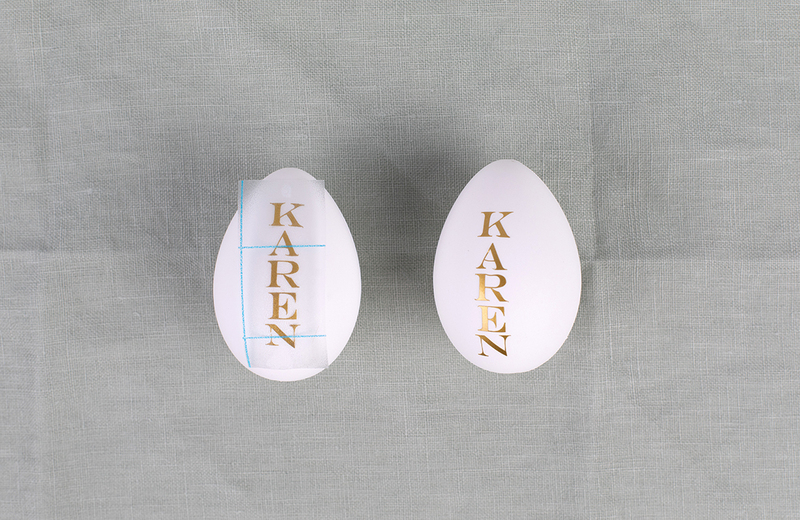 Place transfer tape on top of the name and rub to ensure a bond between the vinyl and the transfer tape. 3. 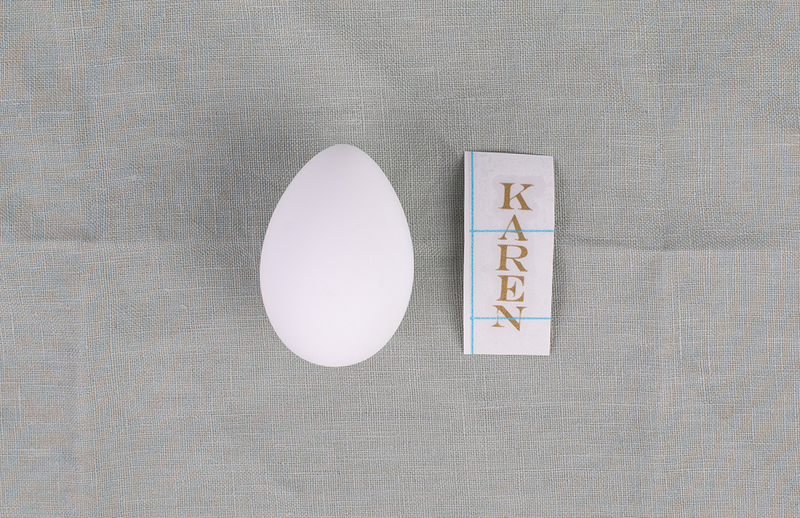 Peel away the vinyl from its backing and place on egg. Rub again to form bond between egg and vinyl. 4. Remove the transfer tape. Now you can layer and customize your table for any event or for just your regular family pizza night. 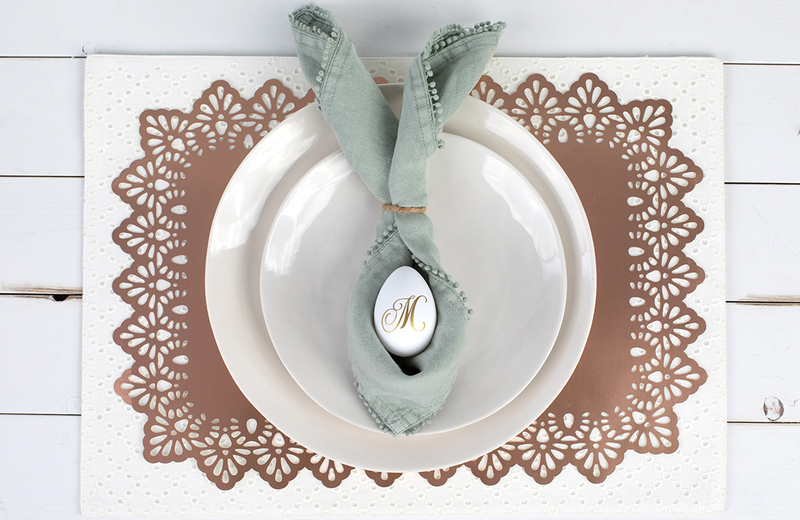 We love that we will be able to change the look of our tablescape simply with cardstock and vinyl. 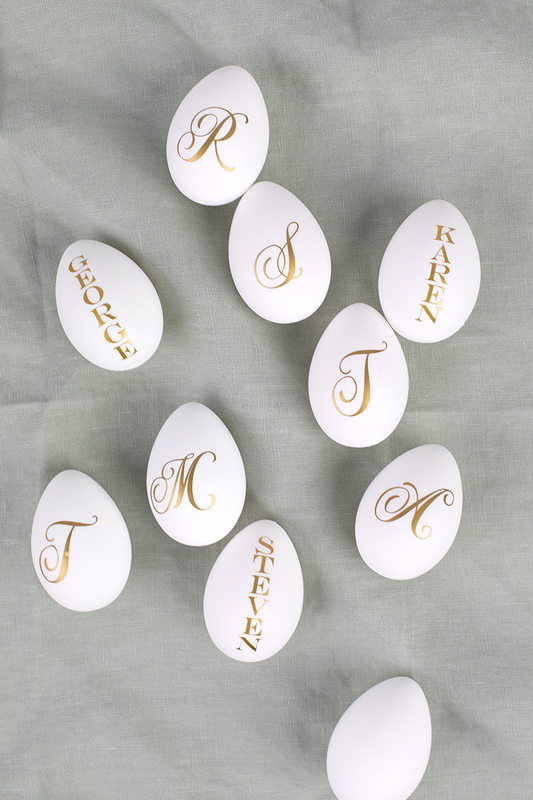 And who doesn’t want to sit down to a meal greeted by their name or initial on an egg? Very lovely table setting. Thanks for showing this and thanks for the blog. I have used many an idea from it.